DAVID LE/Staff photo. 2/25/15. 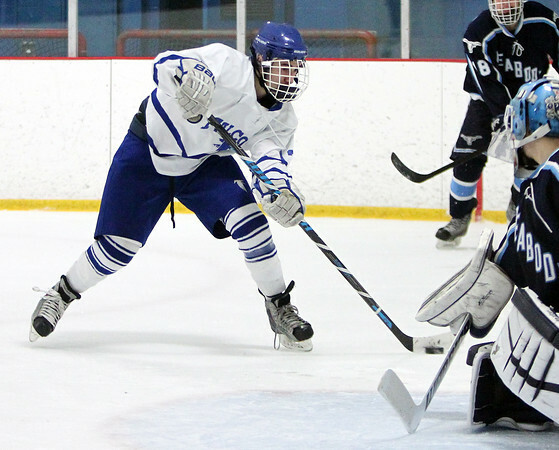 Danvers senior forward Kyle Cahill walks in alone on Peabody sophomore goalie Aaron McDonnell, right, during the second period of play.